Sunlight-assisted water splitting represents a sustainable way to convert solar energy into chemical energy in hydrogen and oxygen gases. Due to its high activation energy, the oxygen evolution reaction (OER) requires large overpotential for initiation. Developing suitable OER catalysts to reduce the overpotential thus becomes instrumental for the feasibility of solar energy harvesting. 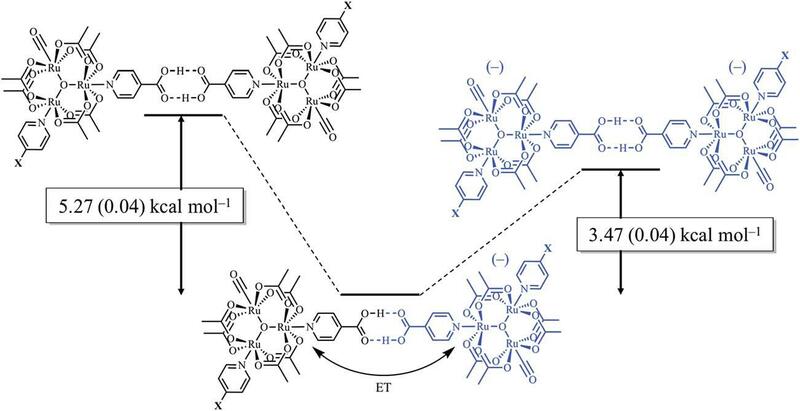 Recently, a group of scientists led by Rui Cao from Renmin University of China, and Shaanxi Normal University, China, has developed a water-soluble Cu(II)-porphyrin complex as a high-performance OER catalyst. This breakthrough has been published in Chemical Science (DOI: 10.1039/C8SC04529A). Inspired by the molecular structure of a natural OER catalyst in the photosynthesis system – photosystem II (PSII), the researchers designed a Cu2+-coordination compound with a porphyrin ligand, tetrakis(4-N-methylpyridyl)porphyrin (Figure 1a), which mimics the structure of PSII. This biomimetic Cu2+-complex exhibits outstanding catalytic OER activity in a phosphate buffer solution at pH=7.0. The current of the cyclic voltammogram of the Cu2+-complex increases sharply (due to O2 evolution) at an onset potential of 1.13 V vs. normal hydrogen electrode (Figure 1b), corresponding to an OER overpotential of 310 mV. For comparison, the cyclic voltammograms of a blank buffer solution and a CuSO4-containing buffer solution show no pronounced current enhancement (Figure 1b), indicating the electrolyte itself and the un-coordinated Cu2+ cannot generate O2 within the tested potential range. The 310 mV overpotential is approximately two times smaller than the typical values exhibited by previously reported Cu complexes. Figure 1. (a) The molecular structure of Cu2+-tetrakis(4-N-methylpyridyl)porphyrin complex. (b) Cyclic voltammograms of 1 mM Cu2+-tetrakis(4-N-methylpyridyl)porphyrin (red), bare buffer solution (black) and buffer solution containing 1 mM CuSO4 (green). The electrode is a piece of fluorine-doped tin oxide glass slide. The authors ascribed the ultra-small OER overpotential to the formation of an oxidized form of the Cu2+-porphyrin complex. This oxidized species is generated after the complex loses one electron, and is active for O-O bond formation and subsequent O2 evolution. The energy barrier of this one-electron-oxidation pathway is expected to be much lower than those of conventional processes involving higher-valent Cu species (e.g., Cu4+-oxo), which facilitates OER at small overpotential. With the complete catalytic cycle of water oxidation by the Cu2+-porphyrin complex being fully revealed, OER will become more efficient and energy-saving. Reducing CO2 into fuels such as CO or hydrocarbons is a promising strategy to reduce the net emission of greenhouse gases and mitigate climate change. The CO2 reduction reaction, however, is an energy-costly process. Therefore, CO2 reduction catalysts are necessary to enhance the CO2 conversion efficiency and minimize the overall energy demand. Researchers are developing high-performance yet inexpensive CO2 reduction catalysts. Noble metals such as Au, Ag and Pd exhibit high CO2-to-CO conversion efficiency, but their scarcity restricts their large-scale practicability. Metallic Fe, Co and Ni are active in reducing CO2 and therefore, have been identified as alternatives to the noble metal catalysts. Recently in Chem. Sci., a group of scientists led by Zhenyu Sun from Beijing University of Chemical Technology and Yousung Jung from Korea Advanced Institute of Science and Technology (KAIST) pushed the CO2-reduction activity of Ni metal to a new height. The researchers synthesized carbon-supported Ni nanocrystals via pyrolysis of Ni-based metal organic frameworks (MOFs) in argon. The resultant Ni nanoparticles had an average diameter of ~30 nm and were embedded in N-doped carbon scaffolds (Fig. 1a). Each nanoparticle was uniformly coated with a thin layer of amorphous carbon (Fig. 1b). Figure 1. (a) The elemental mapping of the carbon-supported Ni nanoparticles. Green dots and blue regions are Ni nanoparticles and carbon matrices, respectively. (b) The scanning transmission electron microscope image showing the thin carbon coating on a Ni nanoparticle surface. (c) The CO2-to-CO conversion efficiencies at different applied potentials. Ni-NC_ATPA@C and Ni-NC_TPA@C are carbon-supported Ni nanoparticles derived from MOFs with 2-amino-terephthalic acid and terephthalic acid organic linkers, respectively. NC_ATPA@C is the Ni-free carbon powder derived from ATPA. The CO2-to-CO conversion efficiencies of these Ni-C nanocomposites were the highest among all the reported carbon-supported Ni nanoparticles. 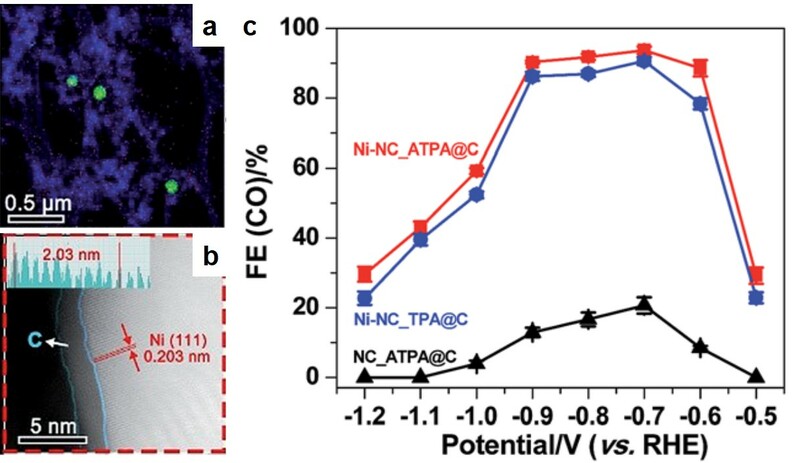 The best Ni catalyst achieved a maximal efficiency of ~94% at an overpotential of 0.59 V, while previously reported Ni-C catalysts typically exhibited efficiencies lower than 25%. The significantly improved conversion efficiency was associated with the thin carbon coating. 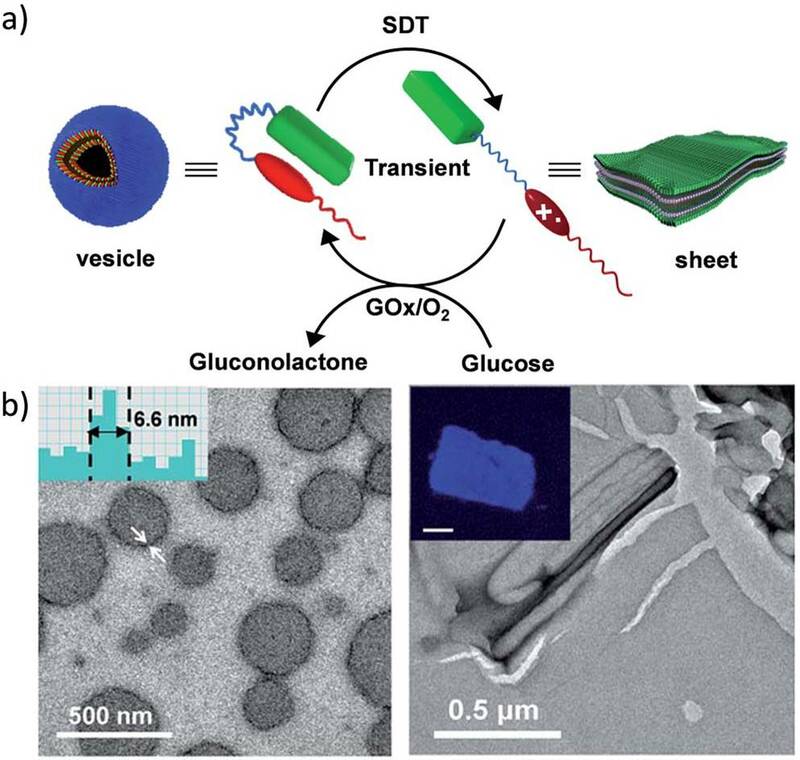 This coating prevented the Ni nanoparticles from directly contacting with aqueous electrolytes, and thus minimized hydrogen evolution reaction, a side reaction that decreased the conversion efficiency. This work highlights the instrumental role of the surface carbon layers in promoting the CO2-reduction activity of Ni nanoparticles. The carbon-coating strategy could be extended to other low-cost transition metals, which may lead to a variety of cost-effective CO2-reduction catalysts. 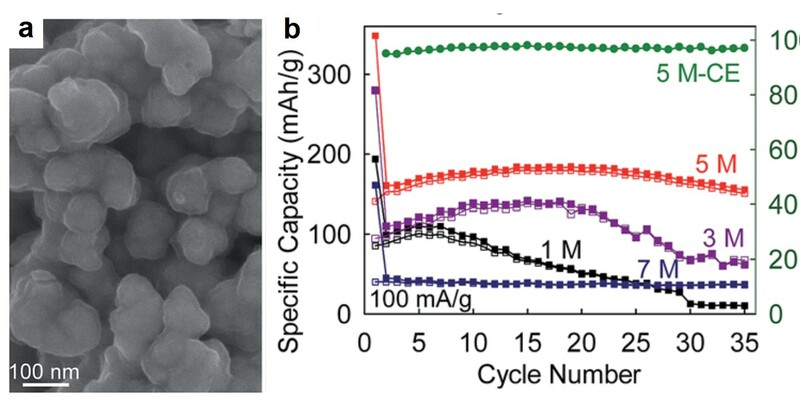 Yu and coworkers from The University of Queensland, Australia have introduced an aluminum-selenium (Al-Se) battery as a new member of the rechargeable Al-ion battery family. This battery reported in Chemical Science exhibited a capacity of 178 mAh per gram of Se, high discharging voltage above 1.5 V and satisfactory lifetime. Al-ion batteries have attracted increasing attention as next-generation energy-storage devices. They are potentially more affordable and safer than Li-ion batteries, due to the natural abundance and the existence of native oxide surface layers of aluminum, respectively. One of the major challenges hindering the wide application of Al-ion batteries is the lack of feasible cathode materials. Previously investigated cathodes have drawbacks of low charge-storage capacity, low discharging voltage, poor electrical conductivity or chemical instability. Inspired by sulfur, Yu and coworkers selected selenium as a cathode material for Al-ion batteries. Selenium has substantially higher electrical conductivity and lower ionization potential than sulfur, which is expected to improve the energy-storage capacity of batteries. However, a major drawback of selenium is that the oxidation product generated upon charging batteries, Se2Cl2, can dissolve quickly in electrolytes and lead to battery failure. Solving this problem would make selenium a promising cathode for Al-ion batteries. To resolve this issue, the authors introduced a mesoporous carbon named CMK-3, nanorods that are capable of physically adsorbing Se2Cl2. The cathode, composed of Se nanowires and CMK-3 nanoparticles, is thus anticipated to improve the lifespan of batteries, as any Se2Cl2 that is generated will be confined inside the pores of CMK-3 (Figure 1). Figure 1. A schematic illustrating the CMK-3’s capability of trapping Se2Cl2. The chemical equation below shows how selenium reacts with aluminum during charge and discharge processes. As expected, the performance of these Al-Se batteries was stable. They retained more than 80% of the initial capacity after 50 consecutive charge-discharge cycles at 100 mA/g (Figure 2a). Additionally, the discharging capacity of the batteries reached 178 mAh per gram of selenium at 100 mA/g, and the discharging potential was above 1.5 V (Figure 2b). Figure 2. (a) The specific capacity of the Al-Se batteries of each cycle at different current densities. (b) The variation of battery potential with specific capacity of the 2nd, 5th, 10th, and 30th charge-discharge cycles. These promising Al-Se batteries could encourage future work to continue progress into the development of affordable and durable Al-ion batteries. Australian scientists from The University of Adelaide and Graz University of Technology recently made a breakthrough in protein chemistry. They revealed that the key to successfully encasing proteins into metal organic frameworks (MOFs, a family of highly porous organic-metal coordination molecules) was the surface charge of the proteins. Their work was recently published in Chemical Science. Encapsulating proteins into MOFs, a process termed “biomimetic mineralisation”, is an efficient way to protect and preserve proteins. This process is typically initiated by mixing the proteins and the precursors of a MOF. The MOF starts to grow at the protein surface and eventually fully covers the protein. As the growth of the MOF begins with nucleation on the protein surface, the surface properties play an important role in controlling the rate and quality of the encapsulation. Unfortunately, the interplay between protein surface and MOF growth has not been well understood, leading to inefficient reactions that require excess MOF precursors and long reaction times. The authors demonstrated for the first time that the surface charge is one of the key factors that affects the possibility of biomimetic mineralisation. 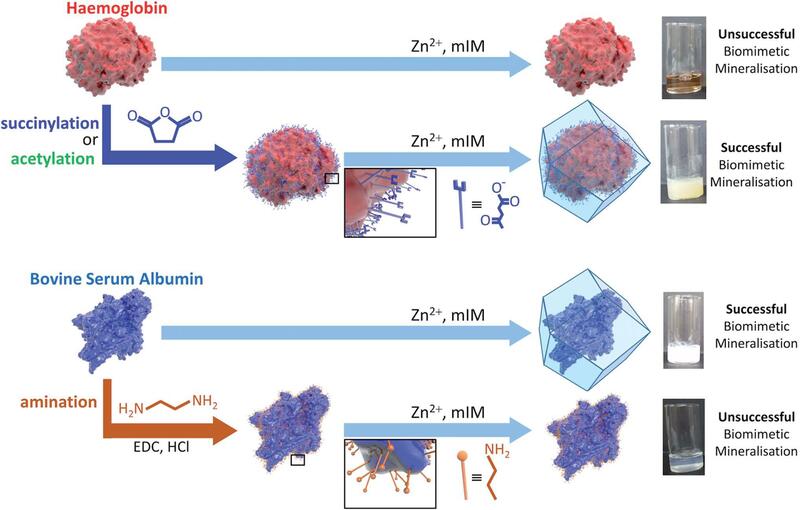 Specifically, they discovered that proteins with strongly negative charged surfaces, such as pepsin and bovine serum albumin, were able to be spontaneously incorporated into ZIF-8 (a benchmark MOF). Conversely, those with naturally positively charged or slightly negatively charged surfaces, including haemoglobin, were incapable of forming composites with ZIF-8. The authors further showed that changing the surface charge could allow or prohibit the encapsulation. For example, after reacting the lysine groups of haemoglobin with succinic anhydride, the surface of haemoglobin became more negative and ZIF-8 could now readily wrap around the protein (Figure 1). The surface potential threshold to induce biomimetic mineralisation was determined to be -30 mV. Figure 1. Schematic illustrations of the biomimetic mineralisation of haemoglobin and bovine serum albumin. Haemoglobin with slightly negatively charged surface is unable to form composites with ZIF-8, but becomes active after succinylation or acetylation to make its surface strongly negatively charged. On the contrary, bovine serum albumin with a strongly negatively charged surface readily combines with ZIF-8, but loses its activity when its surface becomes less negatively charged via amination. The mechanism of the aforementioned observations was attributed to the electrostatic attraction between the protein surface and Zn2+, one of the MOF precursors. The more negatively the surface is charged, the more easily the Zn2+ will attach to and accumulate at the protein surface. The adsorbed Zn2+ ions then serve as the nucleation sites for the MOF to grow around the protein. This hypothesis is proven by a number of control experiments and also validated by computational studies. This study highlights the surface potential of a protein as a critical factor in its ability to induce biomimetic mineralisation with MOFs. The conclusions could potentially be extended to biomolecules other than proteins (e.g. viruses and cells) to facilitate their integration with various MOFs. 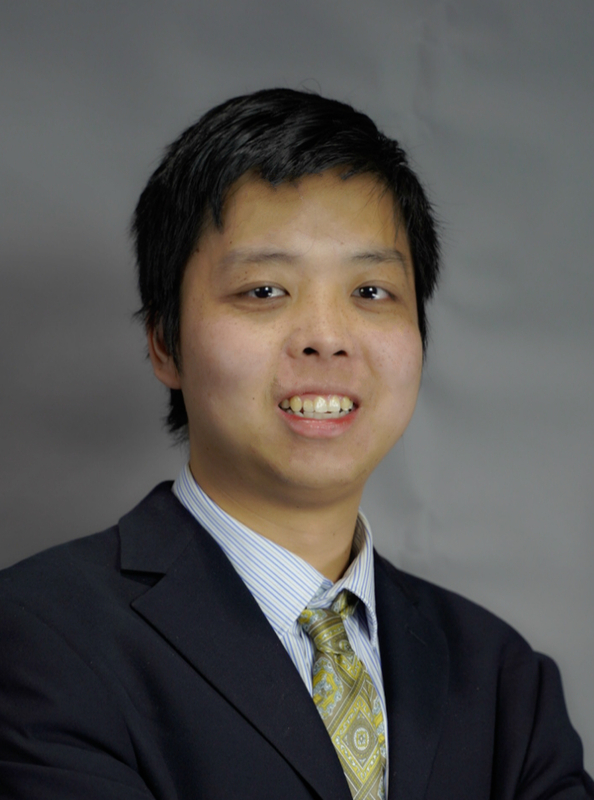 Tianyu Liu obtained his Ph.D. (2017) in Physical Chemistry from University of California, Santa Cruz in United States. He is passionate about scientific communication to introduce cutting-edge research to both the general public and scientists with diverse research expertise. He is a blog writer for Chem. Commun. and Chem. Sci. More information about him can be found at http://liutianyuresearch.weebly.com/. Synthesis of porous materials with tunable pore size remains a long-standing challenge for materials research. These materials, particularly hierarchical porous materials with copious different sized pores, are attractive candidates as catalysts, battery electrodes, and guest molecule hosts etc. An ideal synthesis protocol of hierarchical porous materials should be easy and capable of fine tuning pore size within a wide size range as well as able to preserve structural integrity. Unfortunately, it is extremely challenging for the currently developed methods to achieve the aforementioned three characteristics simultaneously. Recently, this challenge has been addressed by Kimoon Kim and co-workers from the Institute of Basic Science and the Pohang University of Science and Technology in Republic of Korea. 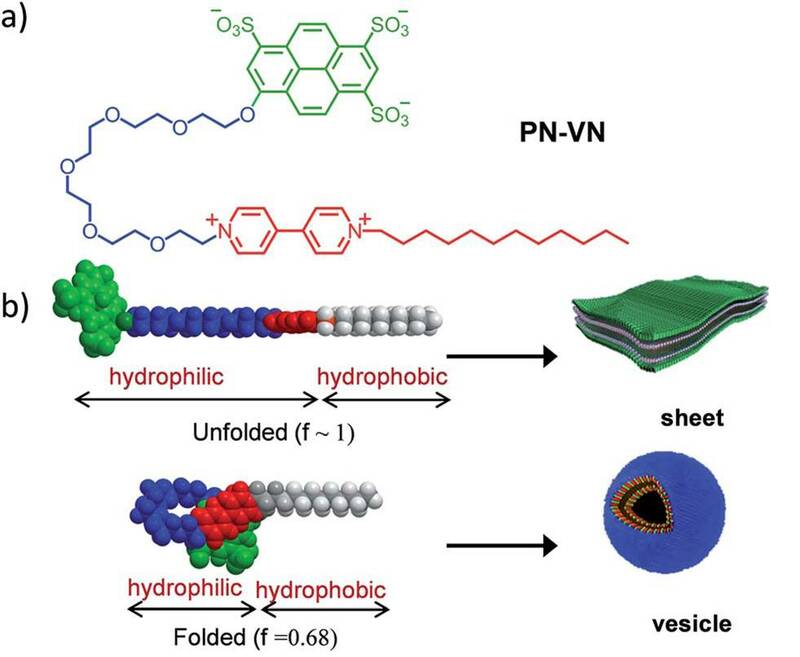 Their strategy targeted at metal organic frameworks (MOFs), a family of highly porous crystalline materials built by interconnected metal-organic complexes, as the starting materials. Phosphoric acid was chosen to selectively break down the building blocks and create pores with tunable diameters (Figure 1). Detailed synthesis procedures are published in Chemical Science. Figure 1. Schematic illustration of the major steps of the demonstrated strategy. 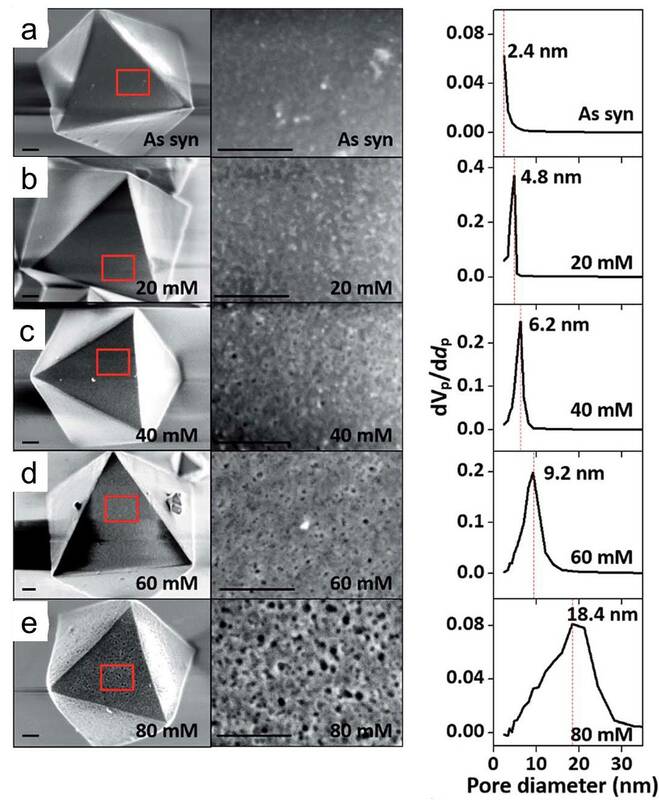 The authors specifically chose the octahedral-shaped MIL-100(Fe) MOF crystals as an example, and demonstrated that their method could readily turn the original smooth crystals into highly porous ones merely by phosphoric acid aqueous solutions. Moreover, simply changing the concentration of phosphoric acid was able to tune the diameter of the created pores from 2.4 nm to 18.4 nm (Figure 2). Figure 2. Scanning electron microscopy images and pore diameter distributions (showing pores larger than 2 nm only) of different MOFs: (a) the untreated MIL-100(Fe) and the acid treated MIL-100(Fe) with phosphoric acid concentration of (b) 20 mM, (c) 40 mM, (d) 60 mM and (e) 80 mM. All scale bars represent 200 nm. Structural evolution analysis revealed that the etching process initiated preferably by cleaving the coordination bonds between metal cores and organic ligands around the hexagonal windows on (2 2 0) crystal planes. It further propagated to dig out the inner part of MIL-100(Fe), forming pores on surface. This method is expected to be applicable to other MOFs coupled with properly selected etchants, thus making the hierarchical porous crystals with tailorable porous structures readily available to worldwide materials researchers.